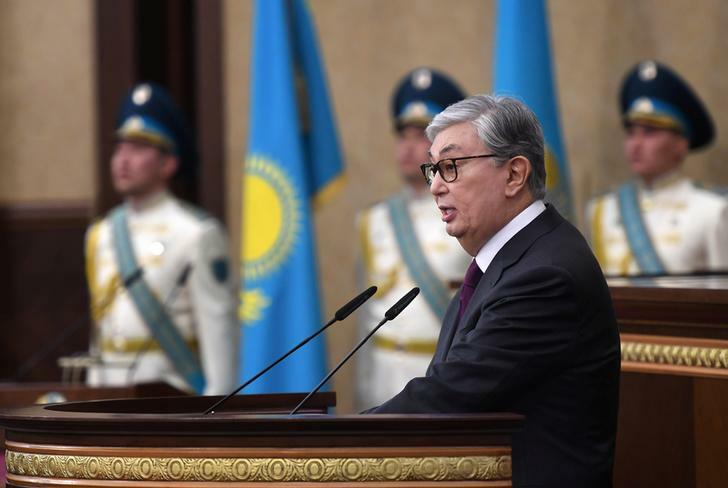 Astana [Kazakhstan], Mar 20 (ANI): Newly sworn-in President of Kazakhstan Kassym-Jomart Tokayev on Wednesday suggested renaming the country's capital in honour of former leader Nursultan Nazarbayev following his sudden resignation on Tuesday. New Delhi [India], Mar 20 (ANI): Kazakhstan foreign policy "remains unchanged" in the aftermath of its President Nursultan Nazarbayev's resignation as the head of state, said Ambassador of Kazakhstan to India Bulat Sarsenbayev on Wednesday. 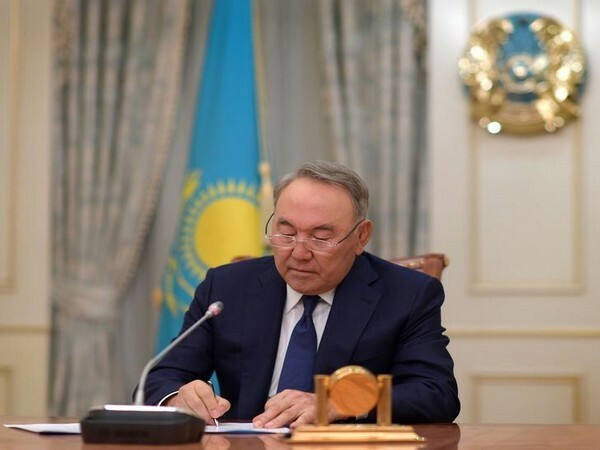 Astana [Kazakhstan], Mar 19 (ANI): Kazakh President Nursultan Nazarbayev on Tuesday announced his resignation in a televised address to the nation, handing over the power to the Speaker of the Upper House. Astana [Kazakhstan], Feb 17 (ANI): Strongly condemning Thursday's deadly terror attack in Jammu and Kashmir's Pulwama district, Kazakhstan on Saturday called on the international community to implement international obligations on counter-terrorism. New Delhi [India], Feb 10 (ANI): Kazakhstan has shown confidence in using the Chabahar port to further trade with India, on the sidelines of an event here on Sunday. New Delhi [India], Jan 9 (ANI): The first India-Central Asia Dialogue will be held in Samarkand, Uzbekistan on January 12 and 13, and will be co-chaired by External Affairs Minister (EAM) Sushma Swaraj and the Foreign Minister of Uzbekistan, Abdulaziz Kamilov. New Delhi [India], Nov 15 (ANI): In a big boost to the military relations and diplomacy, Kazakhstan Peacekeeping Company has been co-deployed with India's 11 JAT Infantry Battalion in the United Nations Interim Force in Lebanon (UNIFIL). New Delhi [India], Oct 30 (ANI): A roundtable conference on the theme “North-South Corridor (Kazakhstan - Turkmenistan - Iran - India). Current situation and perspectives” will be held here on October 31. New Delhi [India] Oct 05 (ANI): India and Kazakhstan agreed to bolster their cooperation in the defence sector. The agreement came during Defence Minister Nirmala Sitharaman's three-day visit to Kazakhstan capital Astana from October 02. Otar [Kazakhstan], Sep 11 (ANI): India and Kazakhstan on Tuesday conducted a joint military exercise, Kazind-2018, in the Otar region of Kazakhstan. New Delhi [India], Sept 7 (ANI): Indo-Kazakhstan joint Army exercise 'KAZIND' will be conducted between the Indian and Kazakhstan Army from September 10 to 23 in Otar region of Kazakhstan. New Delhi [India], Aug 26 (ANI): External Affairs Minister (EAM), Sushma Swaraj on Sunday departed for a four-day visit to Vietnam and Cambodia.